With high hopes we test drive the Koleos Intens and Zen! The Koleos is a very good looking SUV, on paper and in the flesh! 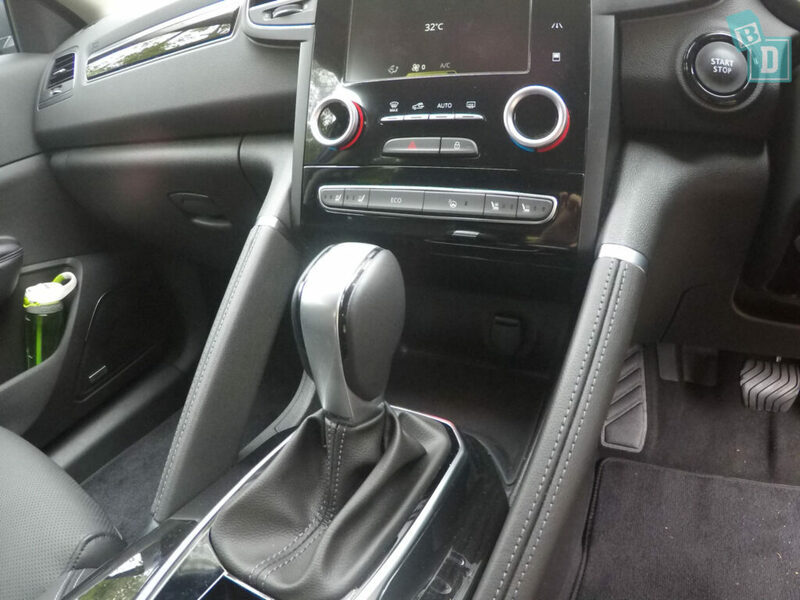 Boasting all the gadgets, a seven-inch touchscreen, sat-nav, reversing camera, keyless entry and start, rear parking sensors, heated front seats and soooo much more including a five-year warranty and all at an amazing price! But… is all this too good to be true? 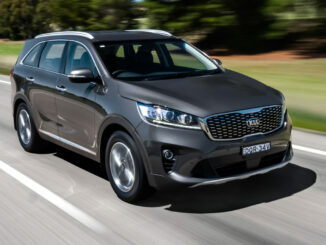 We have got to find out if this new SUV is as good a BabyDrive as it promises to be!! 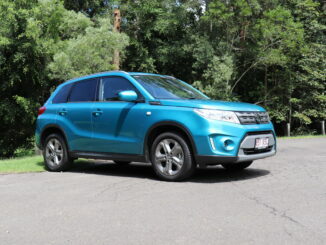 We drove both the Koleos Zen 4×2 and the top-spec Koleos Intens 4×4 model. It was interesting to have the experience of the two and to see how they compare. We will start with my favourite BabyDrive feature… You can adjust the volume of nearly everything that makes a noise!! The voice control, parking sensors, indicators, keypress, warnings, sat-nav, phone call and ring, and the audio. I found this amazing and very BabyDrive friendly to be able to tailor the bells and alarms to suit your baby’s sensitivity and your nerves! My second favourite BabyDrive feature was the interior lights in the back. They are small so they do not distract the driver when they are on at night, they are positioned above the rear doors so you can turn them on and off easily when installing a child into their seat and the best bit… they can be turned on and off from the driver's seat by a conveniently positioned switch near the glasses case in the ceiling! 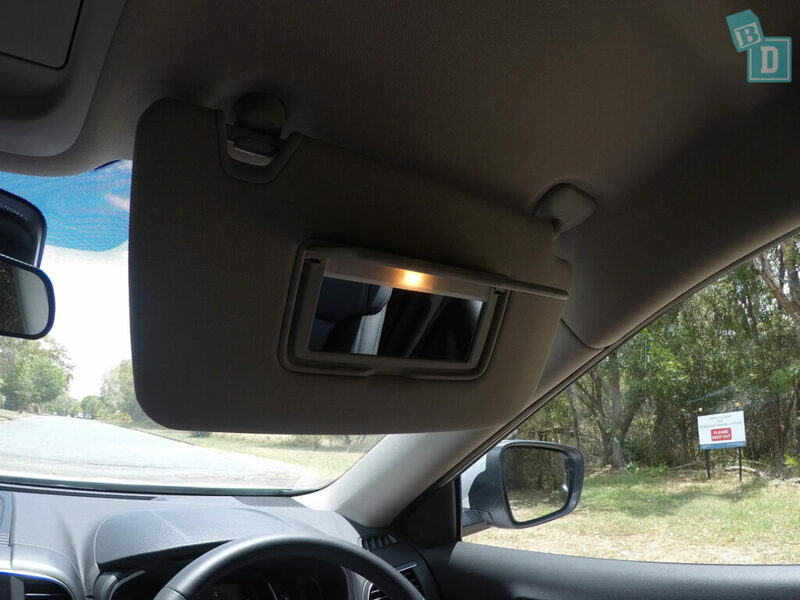 Brilliant for driving at night and being able to turn the light on in the back for little ones and then turn them off once they have fallen asleep. 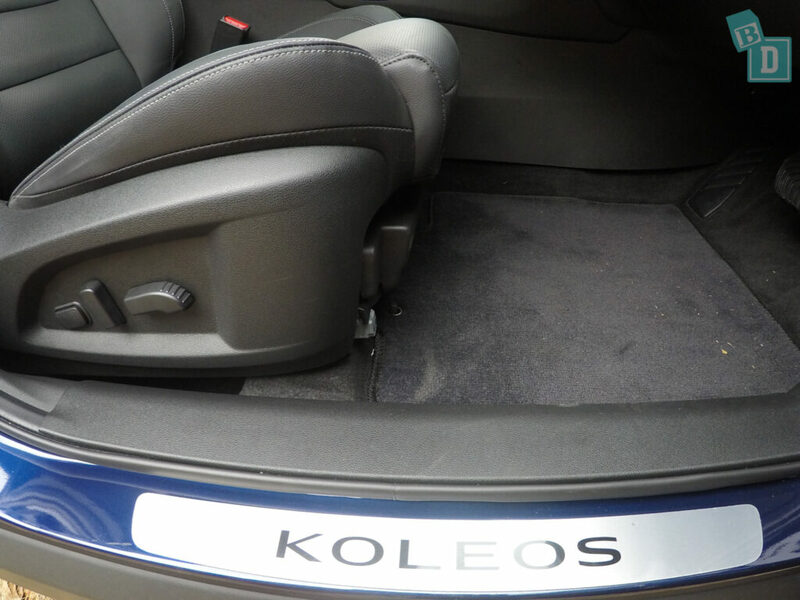 Another thing the Koleos does really well is space; the legroom in the Koleos is fantastic! There is quite good boot space too, and I could get my big Mountain Buggy Urban Jungle pram and three shopping bags in the boot. 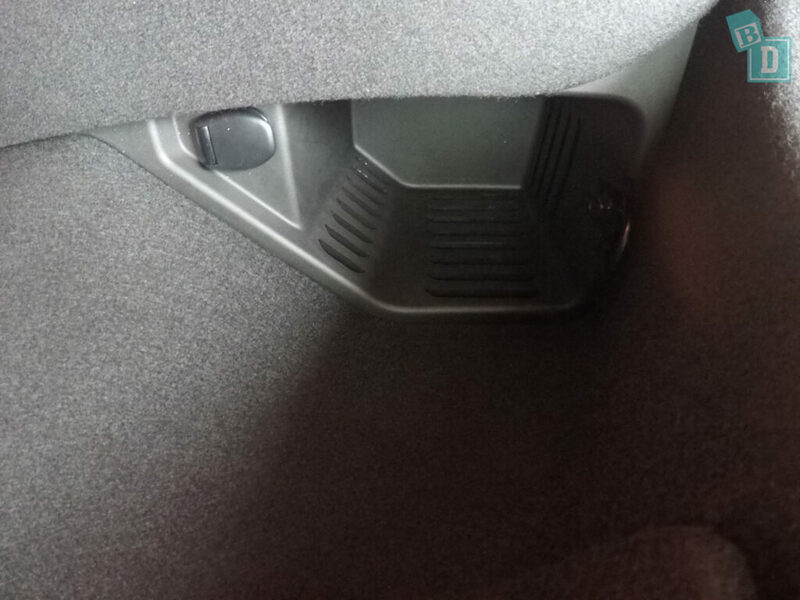 There are little wells on either side in the boot too which are perfect for wet shoes or muddy or sandy clothes etc. In the cab, you can have a rear-facing child seat installed without it interfering with the legroom of the passenger seated in front. My husband is 184cm and there was plenty of leg room for him to sit comfortably. There is plenty of storage space in the cab too with generous door pockets, cup holders, glove box etc. Three child seats fitted across the back seats, although we did have trouble with the ISOFix not working on one side of both cars. 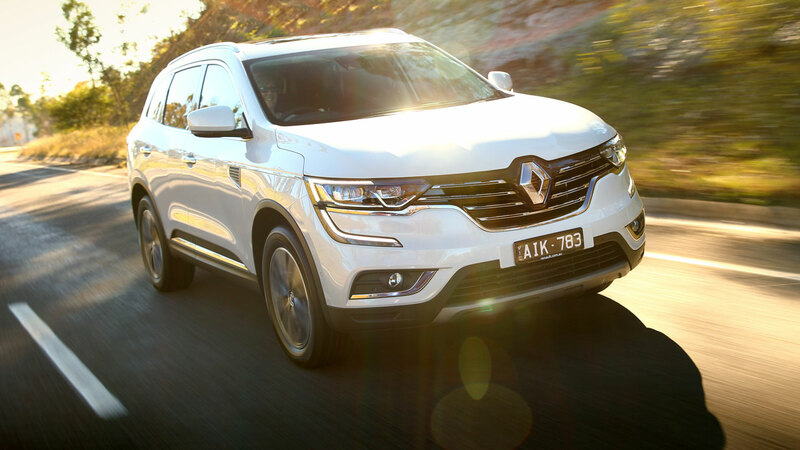 Something we have highlighted to Renault and they seem to have sorted on other Koleos models we have driven since, but still well worth double-checking if you are looking to buy one. 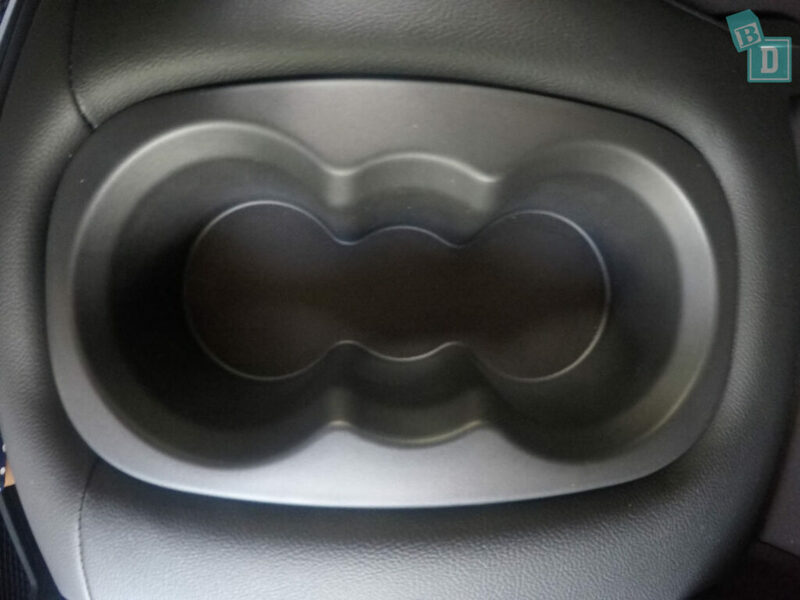 In the top-spec Intens there are cooling vents in the central cup holders that you can flick open or closed. This is a nice little feature, especially if you really can’t wait for your caffeine fix in the morning after another sleepless night!! I loved it as it was a great way of cooling black tea down quickly to a drinkable temperature!! 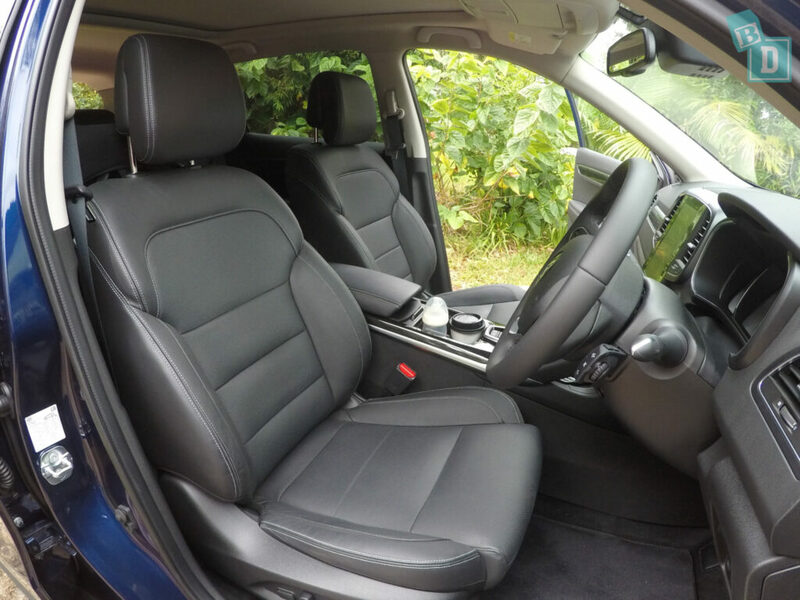 The lower spec Zen model comes with faux leather heated seats and the Intens with leather both heated and cooled seats. Ironically the faux leather seats of the Zen are so hot and sweaty to sit on you really do not need them to be heated!! If you wanted to cool any seats it would definitely be those rather than the real leather in the Intens! The Intens comes with air-con vents in the back also and USB charging points for smartphones. As I’ve said the Koleos looks great! Both on the outside and inside! The interior is fresh, stylish and modern. The Koleos was good in many ways BUT unfortunately, it disappointed in more! Most noted was how it was to drive, the Koleos made a loud ‘mooing’ noise up hills as if the engine just wasn’t good enough, and that was with an empty car just me and Tulsi. Imagine with a whole family and their stuff onboard! The Koleos would slow down as if working out its gearing and then suddenly accelerate. Very frustrating for me, disturbing for little passengers onboard and not what you would expect from a brand new vehicle. Most of the usual central console controls had been moved into the touchscreen, and I found this really annoying as the touch screen would take a few presses to accurately select what you wanted. With something like the air-con, it takes too much concentration away from driving to adjust it. The media screen in the Intens is portrait and when you are using the reversing camera it divides 50/50 with the rear sensor imagery, making both too small to be of any use. This is a similar problem with the sat-nav and sound systems; everything is within categories or lists that you just do not know where to look for them. Although the windows in the Koleos are nice and deep, letting lots of light in, I found visibility poor as the driver because of the size and positioning of the wing mirrors. They were just so deep that with the pillars you could not see for a large probably 30cm area to your front right, which was especially bad when turning right out of junctions. Also the visibility for forward-facing passengers in the back, they had to lean forward of the rear pillars to see out of the side windows because of the alignment of the rear door pillars and the seats. 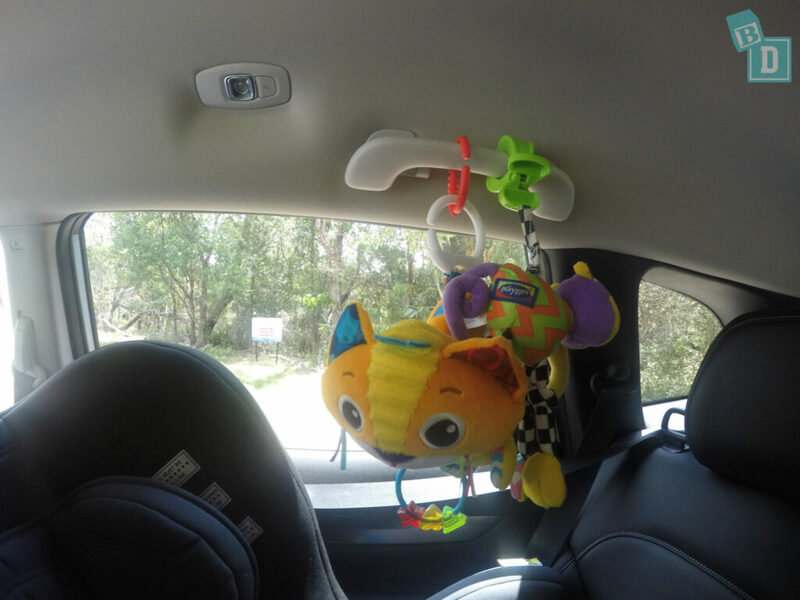 This also affects the space you have to post your baby into their chair from the outside of the car. The driver's seat was not particularly comfortable in either models. The backrests pivoted at my lower back sticking into me if I reclined from bolt upright. To add to this in the Intens I could not lower the seat as much as I could in the Zen and the seat base was hard, both of which I presume are caused by the additional cooling system. 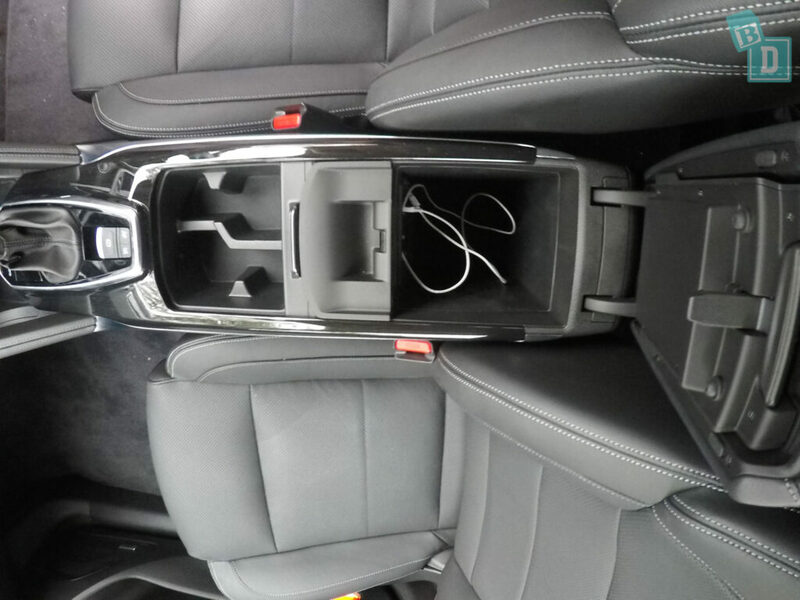 The Koleos has a central storage area between the two front seats with a slide-across lid. Inside there are four compartments, two of which are good sizes for holding coffee cups or 600ml bottles and the two other smaller shapes that I’m not sure what they would hold?! Espresso cups perhaps? I know us mums need our caffeine fix but I’m not sure two espressos would be a good idea!! They have a rubber lining with tabs you can pull to remove them for cleaning. I thought this was a great feature as the cup holders always end up with spillages in them and the removable rubber lining makes it nice and simple. The door pockets would hold a 600ml bottle or large refillable water bottle and were long enough for a wallet too. The door handles were little wells, great for holding the keys while you put Baby into the car or something they have in their little hands. 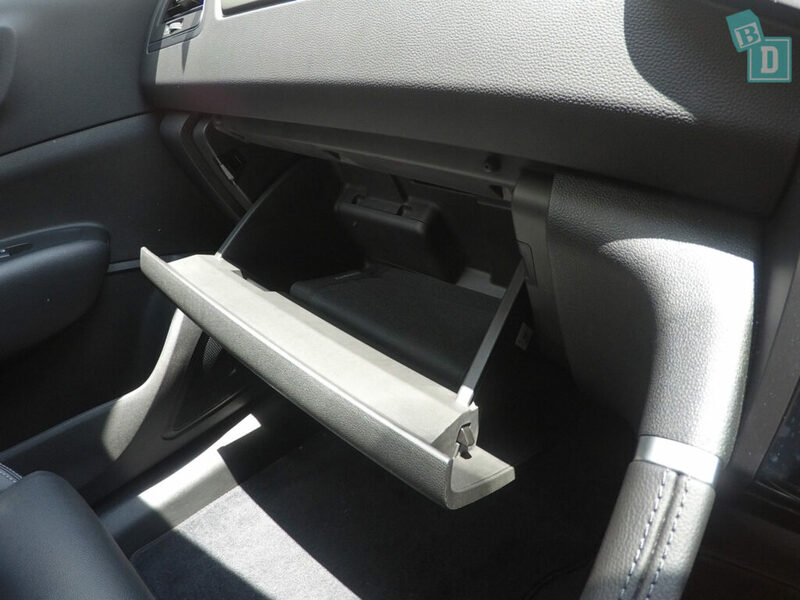 Behind the cup holders is an armrest which is the lid to the central console storage box, which is a good size space with two USB points and a headphone point. In front of the gear lever is a rubber-lined well with a 12V socket. This I found the best place for my phone and it didn’t slide around because of the rubber grip, plugging it into the USB in the glove box meant I then had the wire hanging across the central console. There is a glasses case in the ceiling with the interior lights and seatbelt removal warning light panel. 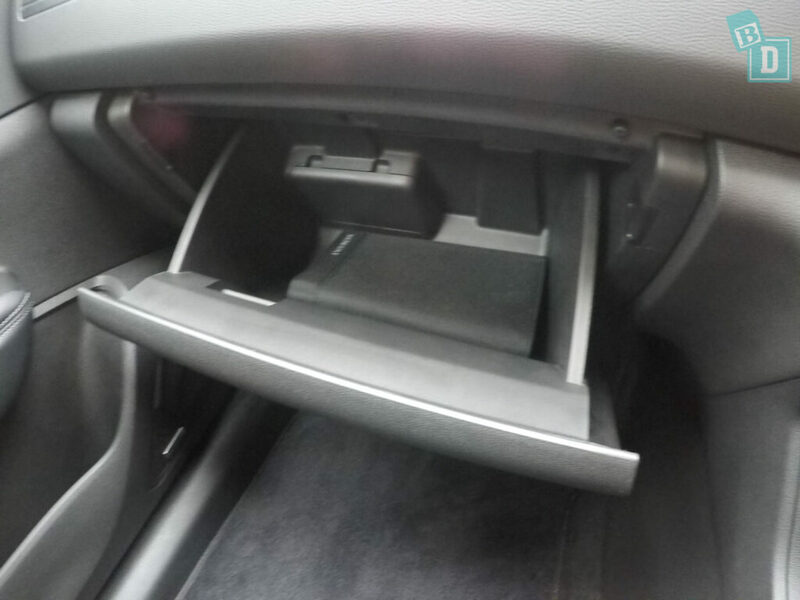 The glove box is a good size and you could fit an iPad and wallet in there easily. In the back are half-size map pockets in the back of the seats, which would hold an iPad but are net so anything you put in them would show through. In the back of the central console box in the Intens there are two USB charging points, a 12V socket and an AUX point. In the Zen there is just a 12V socket. The door pockets in the back would hold a 600ml water bottle. 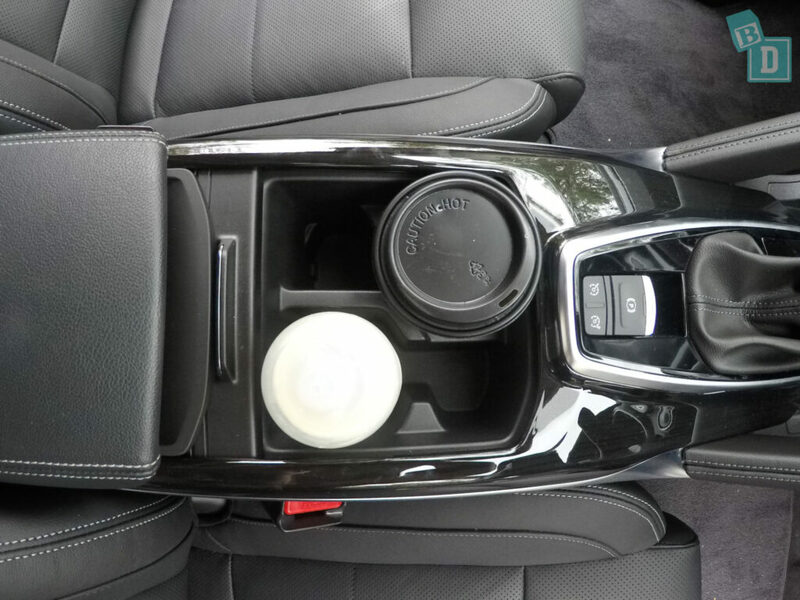 There are two cup holders for the back in a fold down in the back of the central seat. Like the front ones, there is a small moulded space for espressos too! The boot of the Koleos was a little disappointing, as our Mountain Buggy Urban Jungle stroller would only fit three shopping bags in around it! There was a little plastic well dropped into the floor on either side of the boot, and one had a 12V socket in. This would be great for a plug-in Esky while you’re travelling along for family days out. The boot floor was nice and high and flush with the top of the bumper so no awkward bending or manoeuvring to put things in. It is also good for an emergency bum change because it’s nice and smooth and flat as well but you do have to be watchful as there is no drop down to the boot floor, so baby can roll straight out. The removable retracting blind in the boot can be removed altogether or you can retract it back to the back seats so it is not in the way. You could put a medium sized dog in the boot with the cover retracted but you would not fit a pram in with it. The Koleos has a welcome noise when you first get in which is rather annoying, and unlike most things in the Koleos, I could not work out how to turn it down or off! 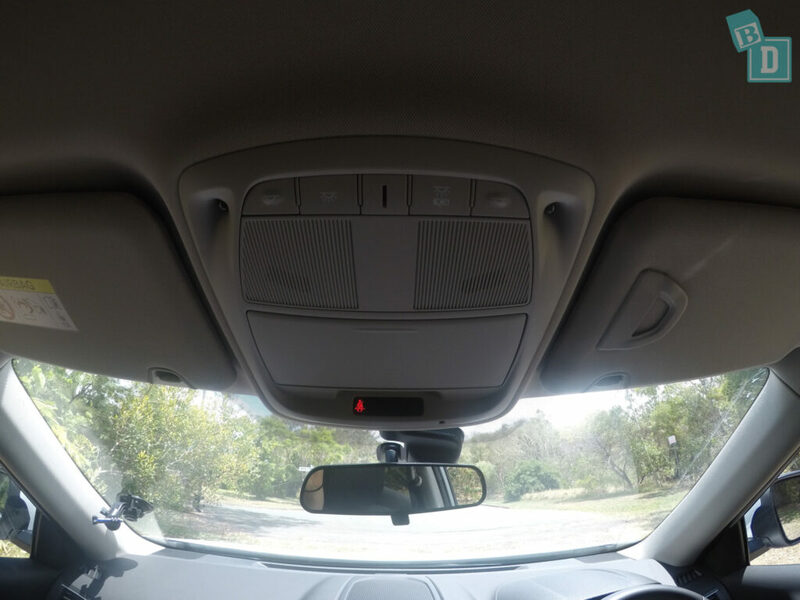 The parking sensors volume is adjustable, thankfully, like most noises in the Koleos, you can turn it down. I found the sensors were a little too sensitive and even when going down a slope or driveway would beep as I dropped off the kerb to the road. Only the Intens has the lane departure warning option. Probably my favourite feature in the Koleos was the adjustable volume of the indicators!! WOOO HOOO!! You can turn the volume right down! Also adjustable in the same screen are the voice controls, sensors, keypress, warnings, sat-nav, phone call and phone ring and audio. This was by far the best BabyDrive detail in the Koleos! When I had nursery rhymes playing on my phone and connect it to the USB lead it played straight away which was fantastic for keeping Tulsi entertained while I start the journey. The volume settings on the audio are not remembered however, if you mute the sound on one journey, turn the engine off and go to use the car again the radio came blaring back on when I got back in. This can be really disruptive if you are putting a sleeping baby into the car, or even can just upset a content baby or frazzled mother!! 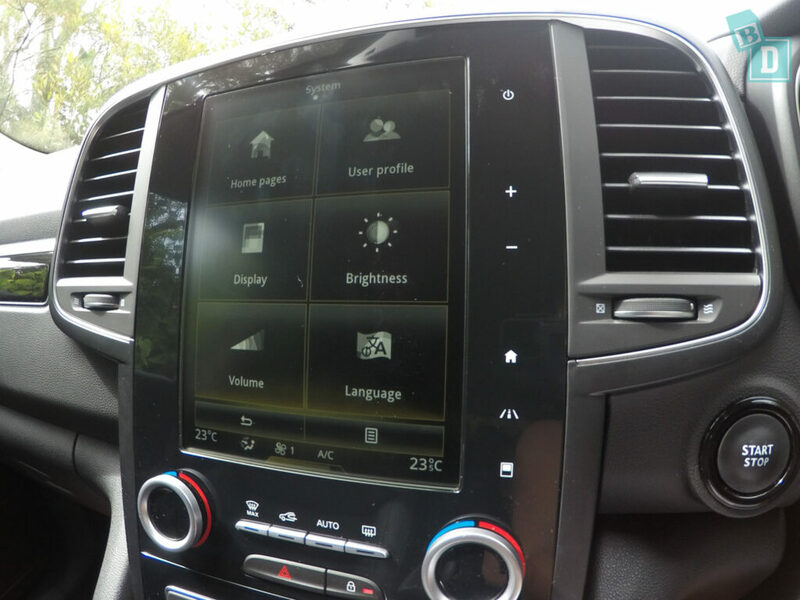 The Koleos models I drove did not have Apple CarPlay, but Renault has since made it standard. The general touchscreen system is very much like using a PC rather than a smartphone. It uses more of a list system that I found quite tricky to navigate as I had to sift through screens to find the page I was looking for. With the Intens it was worse, as even more basic controls were added to the touch screen instead of knobs or dials. These were just very difficult to use whilst driving. The doors close nice and easily and pretty quietly for a larger vehicle, and I didn’t find they disturbed a sleeping baby which was good. They do auto-lock when you start the car which I found to be annoying. The lock/unlock button is conveniently located on the central dash but I would rather have the choice to lock them if I wanted to rather than being forced to have to unlock them. The clicking noise of locking and unlocking would be unnecessary and I never remembered it had to be done so people would always try to get in or out and not be able to. It just felt like an extra hassle that I didn’t need. The windows had quite a loud initial opening noise as the seal is broken and again as they came to a close but the mechanism wasn’t too loud. The top spec Intens model sounded like a mooing cow was under the bonnet! The engine really struggled up hills and was slow. The car would slowly work out what gear it wanted to be in while it mooed and struggled and then kind of spit you out once it had worked it out and gathered up speed! Both the change in motion and the sound of the engine mooing was very disruptive for Tulsi whether she was awake or asleep. There is an aeroplane-like seatbelt display situated with the glasses case in the ceiling to alert you to any passengers removing their seatbelts and a beep alarm sounds too. The cooled front seats in the top-spec Intens has quite a huffing blow sound to it! A bit like when an air-hockey table is turned on. It is not baby waking volume but it is a bit of an annoying constant noise. The Koleos is a five-seater SUV. We could fit three child seats across the back row. There is ISOFix in the two outer back seats and top tether across all three. The top tether points are situated in the back of the seat backs in the boot or there is a large plastic handle on the shoulder of the outer backrests you can pull to bring them forward. 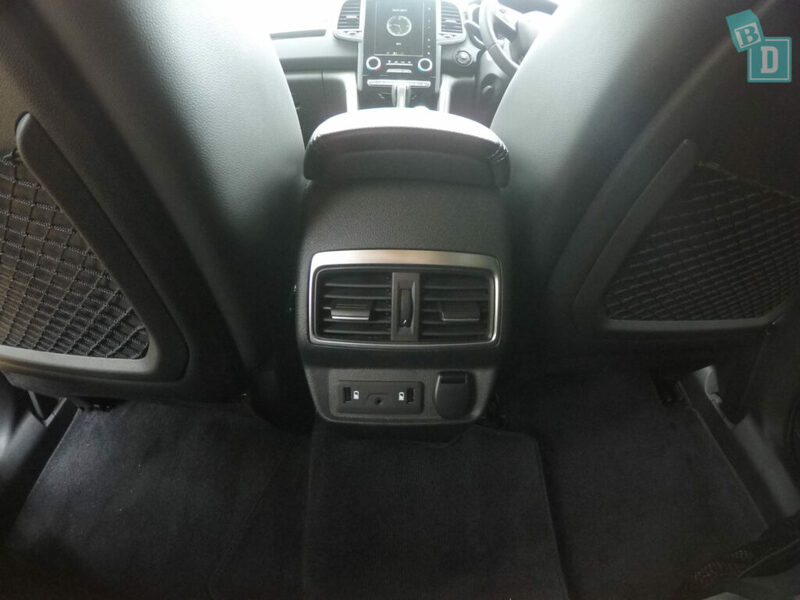 The ISOFix is situated between the seat back and seat base which is usually harder to connect the ISOFix clips to, but we found with the Koleos on both models we could not actually get the ISOFix to work on the seat behind the front passenger. Luckily we only have one child to carry so we had to use the seat behind the driver. 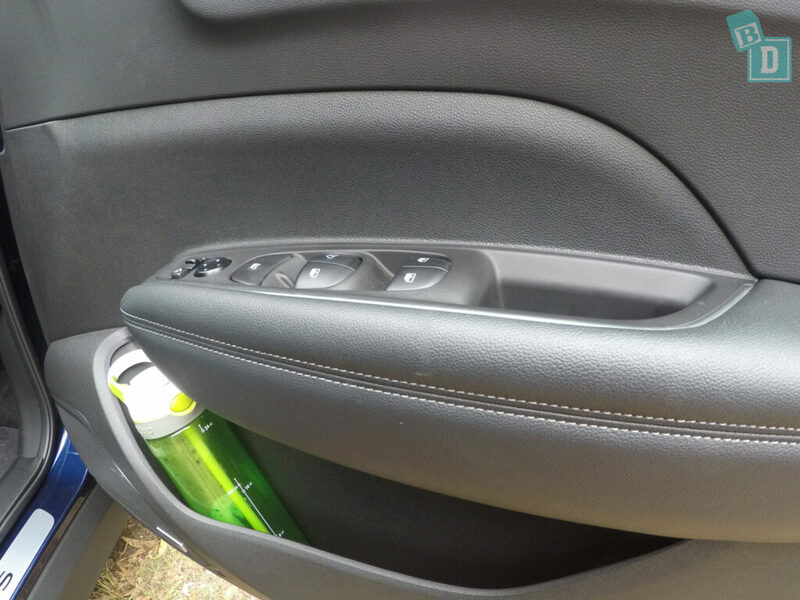 The one side that we could use was still very difficult to connect the ISOFix clips to, as they kept popping off and it took us a long time to get them to stay connected on that side. We reported this fault to Renault who investigated it thoroughly and it has now been fixed. However, I would definitely check the ISOFix and top tether of any car before buying it! Apart from the ISOFix problem, the rest of the seat installation was simple. The top tether straps can feed between the cargo blind and the seat backs so you can post them through and connect them from the boot or bring the seat back forward to connect them, whichever you prefer. You can post Bub into their child seat easily from inside the car and with the slightly reclined angle of the back seats, it gives you that bit of extra room but it does mean forward-facing children have to peer around the side pillars to see out properly. From outside the car, these pillars affect things too because the seat sits back slightly of the pillars, Because of the sloping backrest there is still room to post Bub in but not as generous as from the inside. There is plenty of room for breastfeeding with just one child seat installed in the back, and there is also plenty of space in the front. The seats in the in the Zen model would easily wipe clean as they were a smooth fake leather but the Intens model had perforated leather seats in the back to match the perforated cooled seats in the front. The perforations are so hard to get crumbs etc out of and do not wipe clean easily. The front seats feel firmer in the Intens model I imagine due to the cooling system, the Zen had more of an armchair feel. Also the Intens model didn’t have as much adjustment as the Zen and didn’t seem to lower as much so I felt I was riding much higher. The front seat backrest adjustment pivots at your lower back so seems to stick into your bum cheeks. 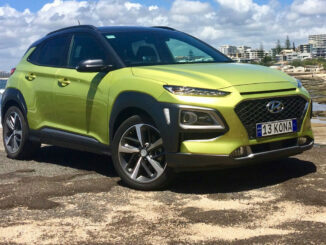 It is something I am noticing on a lot of cars I am driving at the moment, and I am not sure if it is a new style or manufacturer but it is incredibly uncomfortabl to the extent that I almost rejoice when I get a car that doesn’t have that. The fake leather seats in the Zen were sooooo hot and sweaty!! Being black they absorbed all the heat and would burn bare skin if you sat on them. We had to turn the air-con on full and let everything cool down before sitting on them. Being synthetic they just were so sweaty to sit against and with the air-con on full the front of you would be freezing and the back still so hot and sweaty! I drove with a towel underneath me and my back not touching the backrest for long journeys. 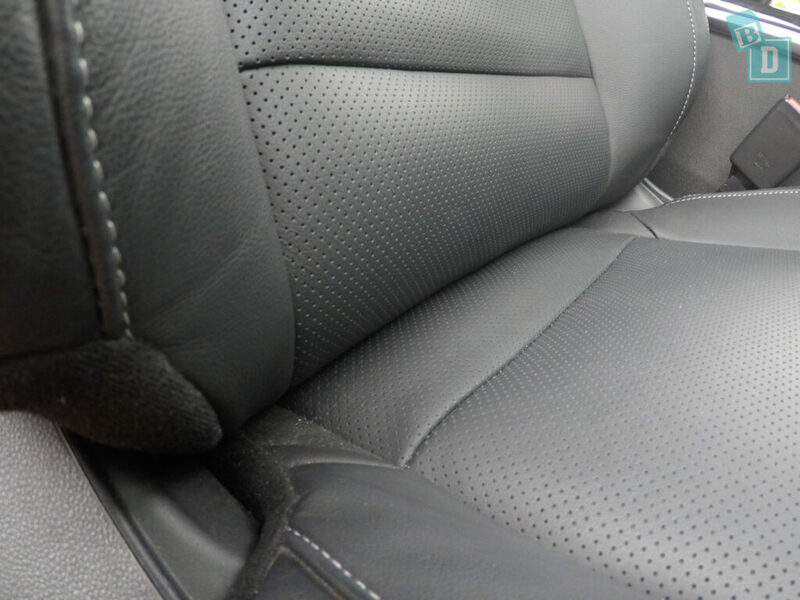 There is not this problem with the Intens because of the proper leather, perforated, cooling seats. The back seat in the middle for Mum travelling next to baby is really hard for both the seat base and the seat back with the armrest and cup holder in it. For long journeys, I would sit mum in the outer back seats where it is much more comfortable. The backrests in the back lean at an angle which is also comfortable in the outer back seats. 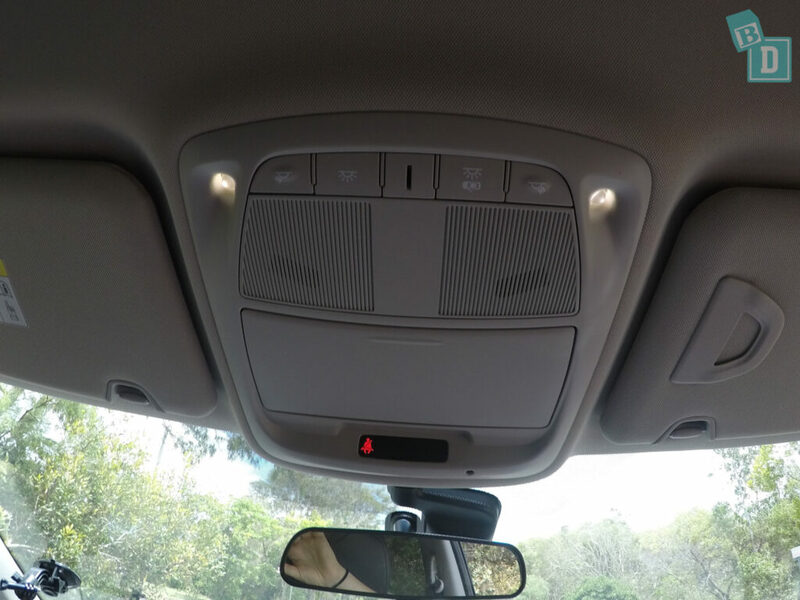 You can have a ponytail in the front and back of the Koleos! The steering wheel is fully adjustable in/out and up/down. 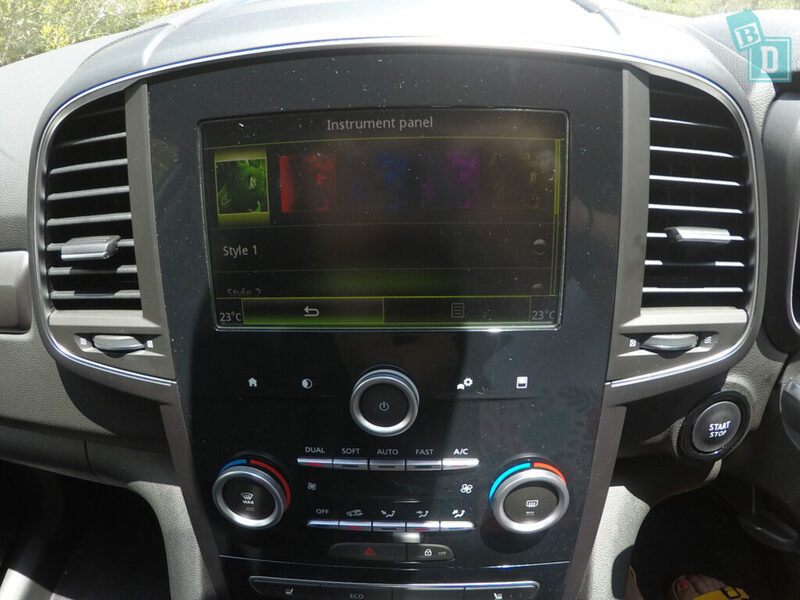 The controls on the steering wheel are not clearly marked and I kept trying to adjust the volume settings for the music with them but all the stereo controls are on a separate stalk behind the steering wheel. 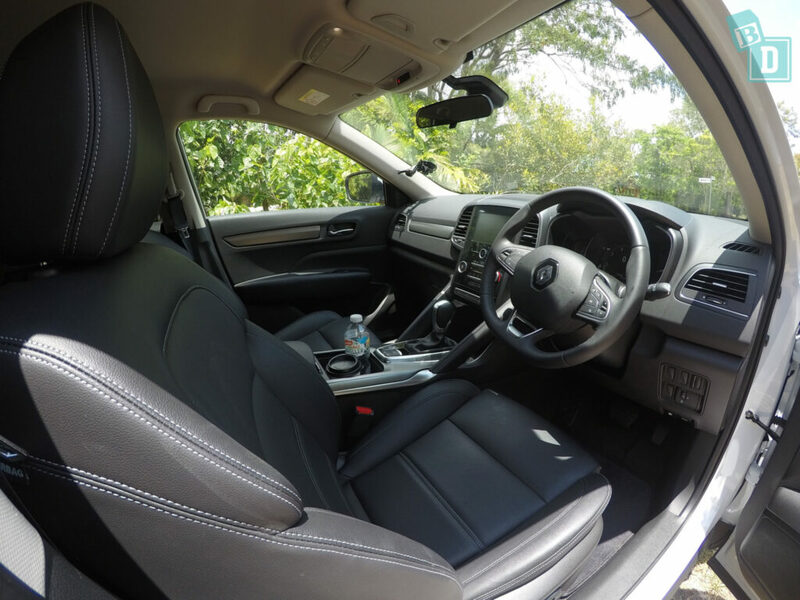 There is plenty of room in the Koleos for rear-facing child seats behind the front passengers without compromising their legroom. My husband is 184cm and could travel comfortably in front of the rear-facing child seat. The air-conditioning controls were tricky to use in both models. I am not a fan of touchscreen air-con controls, as I find they are something I use a lot while driving and if I have to constantly look at a screen it is very distracting if I am having to spend too much time with my eyes and not on the road ahead. In the Intens you swipe up from the bottom of the touchscreen for the fan speed and air-con controls. On the Zen it is a combination of touch screen and knobs below it. Often I would be repeatedly pressing the screen to select something as it would take a few presses for it to work. I found you have to be too accurate with your touch to use it whilst driving. 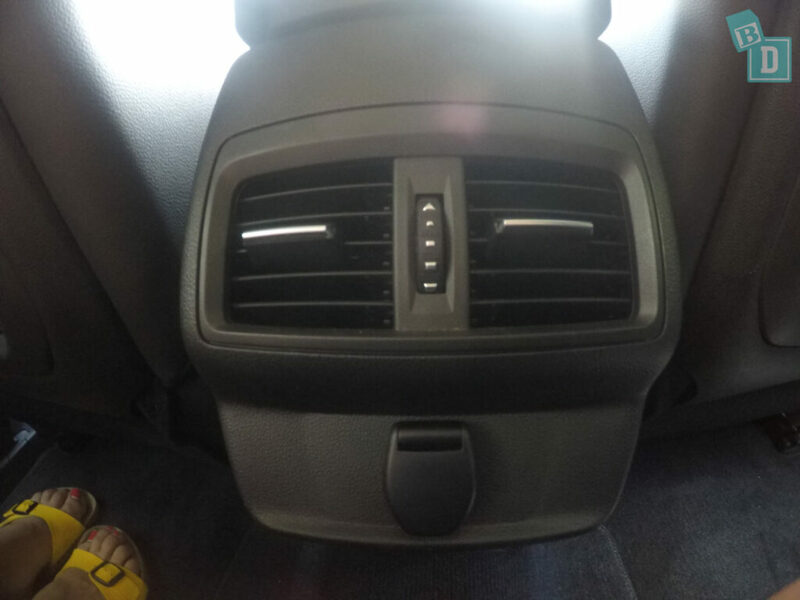 There are four large air-conditioning vents in the front of the Koleos, two in the centre of the dashboard and one at either end. In the back of the Intens there are air-conditioning vents and controls on the back of the central console box, which I find is the best place for them so the driver can reach to adjust them while driving. There are no rear air-con vents in the lower spec models. I found the air-conditioning to be effective in both models of the Koleos, it was just the sweaty seats that were a problem! The windows in the Koleos were tinted, but there were no built-in shades and I found the tint was not enough to prevent the sun making Tulsi uncomfortable. Visibility was compromised in the Koleos by the enormous wing mirrors. They are really deep and their positioning next to the front pillar made a blind spot of about 30cm, which was especially bad when turning right. With rear-facing child seats installed, it was really difficult to see out of the rear side windows too. The sun visors in the Koleos were enormous and eeeew ugly! My first thoughts when I saw them were ‘maternity sanitary pad’ or ‘bandaid’. There is something I just found a bit yuck about them! I think maybe their beige colour and the practical yet ugliness of them! They are about twice the depth of a standard sun visor and practically they were great for shading your eyes from the low afternoon sun. Both had vanity mirrors and lights in them. The rear interior lights are situated above each of the doors and can be controlled from the front by the driver, which I found a great feature. They were also quite small so good for putting one on for Tulsi to see when driving at night but it wasn’t too bright that it distracted me when driving. The control for them is situated with the front interior light switches and glasses case etc. There are handles above the rear doors that are great for hanging a baby toy on to keep Tulsi amused. I did find the position of them meant the toy was hanging right in front of her face. There are carpet floor mats in the front and the back of the Koleos, held in place with little plastic pegs. As I have explained previously the Koleos engine ‘Mooed’ going uphill! The car would slow right down make this dreadful mooing sound while it sorted itself out and then suddenly accelerate once it had selected its gear! This was not only disruptive for the child onboard it was extremely annoying for the driver and cars behind you! The Koleos would be okay to drive around town and suburbs if they are relatively flat but not enjoyable to drive on the open roads or hilly environments. Potholes and bumps felt exaggerated and bends wobbly. I also experienced some travel sickness as the driver in the Koleos so I am not sure if it would have the same effect on the passengers too. The windows are deep helping the visibility when parking. The touchscreen in the Intens is portrait and when using the reversing camera the image is split 50/50 camera and sensors. This is really irritating as it makes neither image large enough to be useful. The Koleos has not been tested by ANCAP yet. The previous model did have a five-star rating so this model is expected to do well when it is crash tested. This new Koleos was bought out in 2016 and it still hasn’t been tested though. Six SRS Airbags come as standard in the Koleos, dual front airbags for the driver and passenger, front side chest airbags and side curtain airbags providing protection for the rear side passengers. There are pre-tensioner seatbelts with load-limiters in the front. Also standard safety in the Koleos is anti-lock brakes with electronic brake-force distribution, electronic stability control and tyre pressure monitoring.